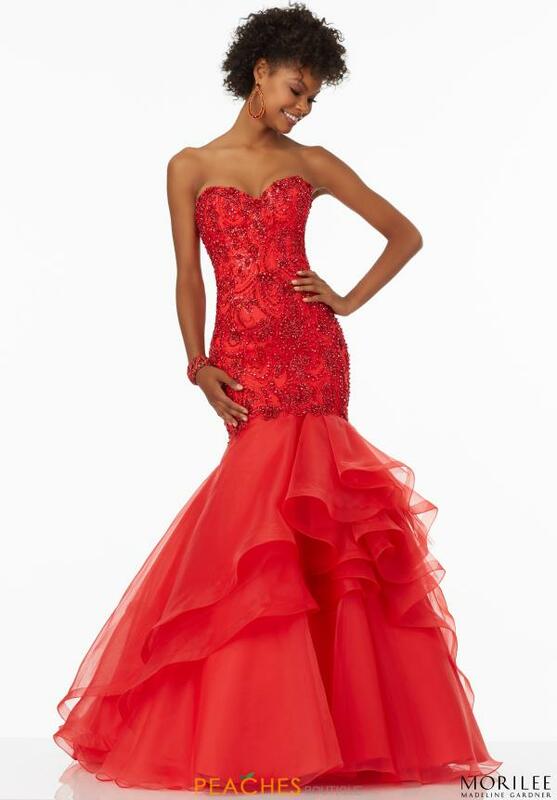 You will look and feel like the center of attention in this glamorous prom dress style 99021. Featuring a sleeveless fitted silhouette encrusted with opulent bead work all over and stunning lace back closure. Pair this red carpet look with chandelier earrings and sparkling heels. You are sure to stand out in this Morilee mermaid dress 99021 that features a dramatic ruffled lower skirt.